Ok- I learned something new today. That’s not to say that I don’t learn something new every day, I just thought I would share it with you today. 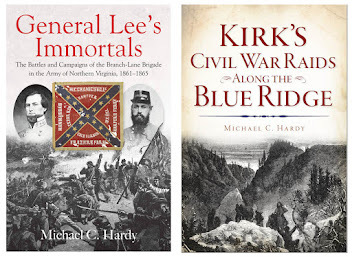 I’ve been involved in a great email discussion with a fellow Tar Heel regarding the flags used at Chickamauga, particularly the flags of Kelly’s brigade and the 58th North Carolina. No, we have not really reached a consensus. 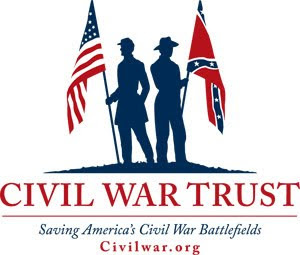 To me, it would almost seem that the 58th NCT was not issued a flag until they received a Second National sometime in between the battles of Chickamauga and Missionary Ridge. The color sergeant was appointed at this time, and the color guard of the 58th NCT was awarded four captured Colt’s Revolving Rifles for their (the regiment’s) performance at Chickamauga. Ok – I knew all of that except the part about Congress rescinding its act in March 1865 (and how long have I owned this book?). Of course, the war was about over, and, maybe the Confederate Congress should have been worrying about more important matters. So I wonder, what problems arose? Interesting stuff, but I still cannot find the “problems” that Madaus alluded to in his book. Thoughts of where to look next? Maybe Jefferson Davis’s papers, or??? Greetings folks! There is an article in The Daily Citizen about an upcoming living history at Chickamauga National Battlefield Park. A group of interpreters (me included) will be portraying the 58th North Carolina on Snodgrass Hill on August 1st and 2nd. If you live in the area, stop by and see us. You can check out the article here. For the 58th NCT, we know that Green B. Woody served as color sergeant, and later ensign, from October 1, 1863, through February 1865. Woody was a 2nd Sergeant in Company C. In a post war letter written by Lt. Col. Samuel Silver, he states that during the battle of Missionary Ridge, all of the companies had been sent from the bottom of the mountain to the top of the mountain save the center company, which was Captain Suel Brigg’s Company C. The color guard would have been attached to the center company of the regiment, with that company being designated as the color company. The entire regiment would have dressed on the color guard, and the color company. So, I know where two of the twelve companies were in line – Company A was on the right, and Company C was in the center. Time for our look around the old North State. There is an article on the passing of CSS Neuse II’s founder Ted Sampley on encToday. Check it out here. Also in encToday is an article about work on the museum to house the original CSS Neuse. Read about it here. Several newspapers have reported on the work of three North Carolina Central Students and their work with the papers of Jefferson Davis at the Museum of the Confederacy. Check out one of those articles here. There is a small piece on New Bern and “What-if” which you can find here. In the Stokes News you can find an article about the restoration of their courthouse and the planned addition of the North Carolina Civil War Trails marker. You can read about it here. A very interesting article on the preservation of Fort Fisher through the past 100 years: read about it here. I thought I would pass along a 58th NCT update. This morning, I wrote the last paragraph in the book. There will undoubtedly be some things added between now and when I turn the book in, but I am getting close. The manuscript stands at 125,074 words. That includes text, notes, bibliography, roster, and a couple of other appendixes. For those who have my book on the 37th NCT, that manuscript was 150,000 words. I still do not have a number of illustrations – I am still working on getting some things scanned and indexed. Tonight, I will be speaking at the Col. John B. Palmer Camp of the Sons of Confederate Veterans. They meet at 6:30 pm at the town center in Burnsville. I’ll be talking about some odds and ends regarding my work into the 58th NCT. If you get a chance, come and join us. Greetings folks! I received this email concerning my last post – thanks to Richard Howland who lives in California for the information. I read with great interest your post today about the Hill/Ledford cemetery south of Buladean. I have several relatives buried there, including George Washington Troutman, my gr-grandfather. As you mentioned, he fought in the Mexican war and also in the 58th NC troops. He deserted the Confederacy after about a year and went home to take care of his domestic responsibilities. At that time he had a farm, a wife and about 10 children to take care of. His son James K. Polk Troutman had joined Company "B" of the 13th Tennessee Cav. George had been serving in Tennessee, and I suspect that he didn't like the idea that he might have to shoot his own son. Maybe another reason George deserted. The James Troutman that's buried at Hill Cemetery is George's son. 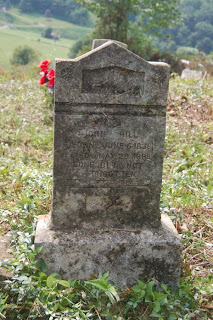 I had the distinct pleasure this past Saturday to work (again) in the Hill/Ledford Cemetery in Mitchell County. There are at least four Civil War soldiers buried here, three Federals and one Confederate. There maybe an additional Confederate soldier buried here, John Hill (1838-1889), but I cannot seem to line him up with any regiment. He did not serve in any of the local regiments, and efforts to find him in Union or Confederate Pension records remain inconclusive. There may also be an additional Federal soldier – Rickles Forbes. His wife is buried in the cemetery, but there is no marker for him. Forbes served in Company E, 3rd NC Mount. Inf. The other soldiers in the cemetery include James Troutman - Co. B, 13th Tenn. 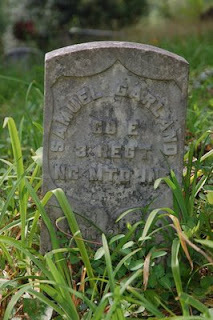 Cav., George Troutman - 1st North Carolina Volunteers (Mexican War) and Co. B, 58th NCT; and, Samuel Garland – Co. I, 29th NCT and Co. E, 3rd NC Mount. Inf. The lone Confederate is William Wise, Co. F, 3 rd NC Cav. These two cemeteries run together, with the Ledford Cemetery being on the bottom and the Hill Cemetery being further up the hill (pardon the pun). We estimate that the Hill portion of the cemetery has been abandoned for 40-plus years, so you can image the amount of work that was required. Our local SCV Camp was contracted to do the work, and it has taken three very long Saturdays. We hope to spend another Saturday this fall trying to uncover more of the downed field rocks that serve as tombstones. So why would someone keep up part of the cemetery and not the other? We were told that the folks who had kept up the Ledford part of the cemetery were descendants of Union soldiers. When the last of the Hill family, which had sided with the South, moved away, their portion of the cemetery was abandoned. Probably not a true story, but an interesting one. In all of my 20+ years of cemetery tramping, this was probably the worst case that I have ever seen. Very large trees, a lot of briars, groundhog holes, poison ivy… I’m glad we were able to pull it out ofoblivion. Interesting article this morning on the digitation of Freedman’s Bureau records in Virginia in the Winston-Salem Journal. You can read the whole article here. However, part of the article is misleading. Five paragraphs down, we find this statement: “Virginia is the first of the 14 former slave-owning states to have its records digitized.” Now wait a minute…. There are a lot more than “14 former slave—owning states…” In 1861, at the start of the war, there were fifteen “slave-owning” states: Alabama, Arkansas, Delaware, Florida, Georgia, Kentucky, Louisiana, Maryland, Mississippi, Missouri, North Carolina, South Carolina, Tennessee, Texas, and Virginia. Add to this list the District of Columbia, which did not abolish slavery until April 1862, and in 1863, West Virginia, which was admitted to the Union as a slave slate. Of course, there was still slavery in New Jersey, the Nebraska Territory, and in Oklahoma/IndianTerritory. I’m going to imply that the author of the article meant that there were fourteen slaves that the Freedman’s Bureau operated in after the close of the war. I just wish he would have written that. I thought this morning we would turn our attention to Lenoir County, over toward the east coast. Lenoir County is named for Gen. William Lenoir (1751-1839). The county was formed in 1791 from Dobbs County. Lenoir was a patriot in the American Revolution. He lived in modern Caldwell County, where the county seat, Lenoir, is also named for William Lenoir. Kinston, which had served as Dobbs County’s seat, was retained as Lenoir County’s seat. Kinston was incorporated in 1762. The name was originally Kingston and named in honor of King George III. In 1860, Lenoir County had a population of 10,220, including 5,131 slaves and 177 free blacks. And during the 1860 Presidential election, Lenoir County voters cast 533 votes for Breckinridge, 317 for Bell, and 21 for Douglas. February 1861 found Lenoir County voting 447 for a convention to consider secession, with 195 against the question. Representing the county during the convention of May 1861 was John Cobb Washington, a relative of George Washington. J. C. Washington was born in Kinston in 1801. He was a merchant and a farmer and was opposed to secession. Numerous companies were recruited from Lenoir County, including Company D, 5th NCST; Company C, 13th Batt. NC Infantry; Companies C and D, 27th NCT; 1st Company K, 32nd NCT; Co. E, 61st NCT; and Companies C and H, 1st Batt. Local Defense Troops. The county was the site of numerous raids during the war. Lenoir County was between the Federal army at New Bern, and the Confederate-held (and extremely important) Wilmington and Weldon Railroad. We are going to focus our time on the two larger battles in the county, namely, the battle of Kinston, fought December 13-14, 1862, and the battle of Wyse Fork, fought March 8-10, 1865. The first battle of Kinston was part of a general troop movement by Union forces which extended as far west as Goldsboro, as far north as Fredericksburg, Va. and as far south as Wilmington. Union troops under the command of Brigadier General John G. Foster of New Hampshire had already taken the town of New Bern. Foster’s force consisted of about 10,000 infantry, 640 cavalry, and 40 pieces of artillery, supported by nine small gun boats on the Neuse River. Defending Kinston were a little more than 2,500 Confederates under the command of Brig. Gen. Nathan G. “Shank” Evans. On December 11, 1862, the raid commenced, and on December 13, the two forces collided. Federal cavalry battled Confederate infantry at Southwest Creek, with the North Carolinians being driven back. Evans consolidated his forces about two miles away at a bridge crossing over the Neuse. The next day, the Federals faced stiff resistance but were able to cross a swamp and out- flank the Confederates. Evans, believing all his men were across the bridge, ordered it burned. However, not all of his men were across the river, and he lost 400 captured to the Federals, along with eleven pieces of artillery. The flames on the bridge were extinguished by the Federals, who were able to cross over into Kinston. Evans continued to retreat, and skirmishes were fought at Seven Springs (then Whitehall) in Wayne County. Eventually, the Federals reached Goldsboro, but were unable to capture and destroy the bridge due to Confederate resistance, and were forced to retreat. By Dec. 14, Foster's inland expedition resulted in 90 Union soldiers killed, 478 wounded, and nine missing. On the Confederate side, 71 were killed, 268 wounded, and over 400 captured. The battle of Wyse Fork, also called the Second Battle of Kinston, was fought March 7-10, 1865. This battle has been called the second largest battle in the state and was a delaying action by Braxton Bragg against forces of John Schofield. Schofield planned to advance inland from Wilmington in February, at the same time assigning Maj. Gen. Jacob Cox to direct Union forces from New Berne toward Goldsboro. On March 7, Cox’s advance was stopped by Hoke’s and Hagood’s divisions under Gen. Braxton Bragg’s command at Southwest Creek below Kinston. On the 8th, the Confederates attempted to seize the initiative by attacking the Union flanks. After initial success, the Confederate attacks stalled because of faulty communications. On March 9, the Union forces were reinforced and beat back Bragg’s renewed attacks on the 10th after heavy fighting. Bragg withdrew across the Neuse River and was unable to prevent the fall of Kinston on March 14. Federal loses were 1,101. Confederate losses were estimated at 1,500. Also of importance to Lenoir County history is the Confederate ironclad CSS Neuse. “ The CSS Neuse, named after the river on which it was based, was constructed in 1863 amid Confederate hopes that the ironclad could help regain control over the rivers and sounds of eastern North Carolina. In April 1864, the Neuse, not yet fully equipped, left Kinston to help with a planned attack against New Bern. Before it reached its target, the Neuse ran aground and eventually returned to its base. On March 12, 1865, she was burned by her crew to prevent capture. The wreck remained in the river until 1963 when it was raised, then located in its present site. The remains of the Neuse (much of its wooden lower structure and some of its iron plating) are displayed” at the CSS Neuse State Historic Park. There are numerous things to see in Kinston and Lenoir County pertaining to the war. There is a driving tour available of the battle of Kinston. You can gain information on the tour by visiting the Visitor Center on Hwy. 70 just on the outskirts of town. The Visitor Center has a video and numerous artifacts from the battles. There is also a monument on the Visitor Center grounds. If memory serves me correctly, the Visitor Center is on part of the battlefield. The Historic Preservation Group in Lenoir County has preserved 56 acres of land pertaining to the March 1865 battle at Wyse Fork. There are also several signs and markers detailing this battle. The remains of the CSS Neuse can be visited, along with the “Cat Hole of the Neuse” a spot on the river where construction of the ironclad was finished. Right in the middle of town is the CSS Neuse II, a full-size replica of the original ironclad. I was in Kinston in August of last year and greatly enjoyed my visit. I encourage you to also drop by. 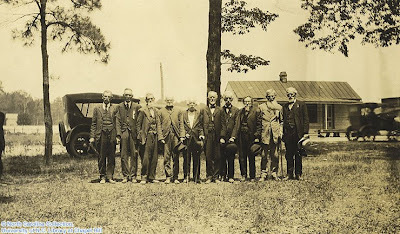 Veterans of the battle of Kinston. Possibly taken on May 10,1920. Well folks, here are some items that I saw in a search around different online news outlets. There is an article on Politico.com on Rep. Alexander Hamilton Jones, a member of the 40th Congress. Read that article here. Jones was born in Buncombe County, and served in the Union army during the war. There is a nice online bio on Jones you can find here. A descendant of a member of the 26th NCT writes an interesting article on ENC.com, which you can read here. For those interested in the Cold Mountain story (i.e., Frazier’s book, and subsequent movie), check out this article about the annual Cold Mountain tour. There was also an interesting opinion piece a week or so ago in the Salisbury Post on the legacy on John Hope Franklin. The article is about Dr. Franklin’s work on Free Blacks owning slaves. The article points out that there were 69 Free Blacks (Free Persons of Color for my academic friends) who held slaves in North Carolina in 1860. Hmm, maybe it is time to pull out my census and slave schedules and re-examine the 58th NCT. You can read the article here. 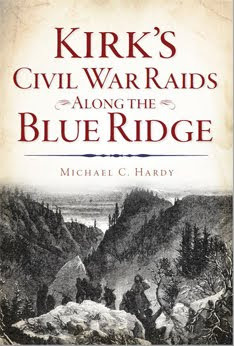 Speaking of the 58th NCT, I have started editing Chapter 7, which deals with the battle of Chickamauga. I’ve also been trying to decide what to do with the whole slavery question. As I have said before, the men whose names appear on the muster rolls of the 58th NCT were not interested in the preservation of slavery, nor were they really interested in state’s rights: someone showed up at their farm with a piece of paper, and for some a gun, saying "You have to serve in the Confederate army." I have been trying to document actual slave owners in the regiment (and a note to my readers – slave ownership does not always mean loyal supporter of the Confederacy). As of today, I’ve got seven slave owners, out of almost 2100 men in the regiment. That is less than one percent. By the way, if you have emailed me recently, or posted a comment, I will get to those soon. I’ve been working hard on the 58th NCT manuscript lately. oops - I messed up. Dang – I messed up. It is the 146th Anniversary of the battle of Gettysburg, not the 145th – what was I thinking? Since it’s the 145th anniversary of the battle of Gettysburg, I guess I should write something in honor of the event. I meant to get involved with Brett Schulte’s blogging event at TOCWOC, but alas, my head is still in the western theater of the war. Maybe Brett will do something similar with Chickamauga-Chattanooga. 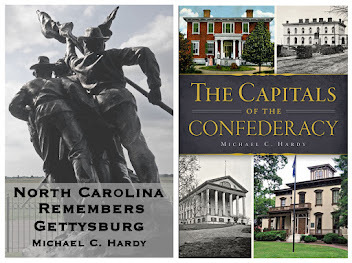 By the way, my favorite Gettysburg books are much like everyone else’s posts – Coddington, Imhof, Coco, Phanz, Martin, Wertz, and Gallagher. If you get a chance, check out the real contributors here. You know, I’m probably an odd duck, and while I enjoy researching and writing about the battle (part of my 37th NCT book covered Gettysburg and three articles in Gettysburg Magazine), I don’t like visiting Gettysburg. I’m too worried about getting hit by one of the numerous cars that clog the streets, or passing out from heat stroke, or, spending more money than I should… to be honest, you are more likely to find me at Sharpsburg a few miles down the road stumping along the Sunken Road or the Cornfield. Maybe this aversion to Gettysburg comes from my past trips to the area. I’ve been four times – twice for reenactments (1988 and 1998), and then twice in October 2005. I liked the October trips – not as hot, but there were still lots of people. Maybe I should try and go in December or January. I might like it better then. There were many Tar Heel soldiers who did visit the battlefield after the war. John Elihu Luther, a member of the 37th NCT, was an attendant at the 75th anniversary of the battle in 1938. Even those veterans who did not fight at Gettysburg did visit the park. I came across a newspaper article just a few days ago about Maj. George W. F. Harper (58th NCT) visiting Gettysburg in the 1910s. For the thousands who did visit the battlefield, there were tens of thousands who found the memories of what took place on those hills too painful, and they chose not to visit the area. Skip ahead to today – July 2, 2009. Even if a person knows nothing about the war, he or she probably recognizes the word Gettysburg. Thousands of school children and countless tour buses roll onto the Park grounds every year for their “required” visits. But how can one battle, out of hundreds of others in a dozen or more states, be so important? Should that one battle be shaping the public’s image of a much deeper sociological part of our history? 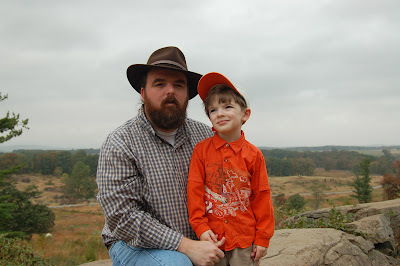 By the way – the attached photograph is of me and my son Nathaniel on Little Round Top in 2005. Greetings folks! 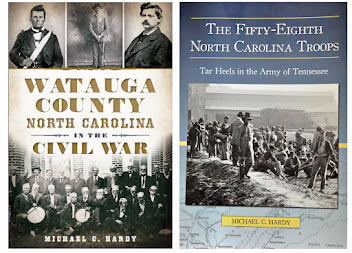 Got a blurb about the last Troop book release from the North Carolina Archives. I hope you enjoy. 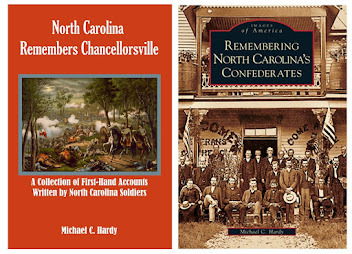 RALEIGH – The newest title hot off the press from the Historical Publications Section in the Office of Archives and History is “Volume XVII: Junior Reserves” in the popular “North Carolina Troops, 1861–1865: A Roster” series, edited by Matthew M. Brown and Michael W. Coffey. Volume XVII contains the history and rosters of the North Carolina Junior Reserves. The Junior Reserves were 17-year-old boys drafted in the last year of the war, as the Confederacy faced a disastrous shortfall in manpower. Between the spring and fall of 1864, North Carolina raised eight battalions of Junior Reserves that were later consolidated into three regiments and one independent battalion. These young men were originally intended to guard bridges and depots in North Carolina , but eventually were drawn into combat. The Junior Reserves saw action in a number of minor clashes in eastern North Carolina and southeastern Virginia , as well as the major battles of Fort Fisher and Bentonville. An authoritative 120-page history begins the volume, followed by a complete roster and service records of the officers and men who served in the Junior Reserves. The service records include important information such as full name, rank, county of birth and residence, occupation, place and date of enlistment, age, whether the individual was wounded, captured, hospitalized, paroled, transferred, or promoted, and whether or not he died during the war. A thorough index completes the volume. Matthew M. Brown received a B.A. in history from the University of Virginia and a J.D. from the University of North Carolina at Chapel Hill . Michael W. Coffey received a Ph.D. in history from the University of Southern Mississippi . “North Carolina Troops, 1861–1865: A Roster (Volume XVII: Junior Reserves)” (hardbound; pp. xvi, 509; index) costs $63.38 ($58.04, libraries), which includes tax and shipping. Order from the Historical Publications Section (N), Office of Archives and History, 4622 Mail Service Center, Raleigh, NC 27699-4622. For credit card orders call (919) 733-7442, ext. 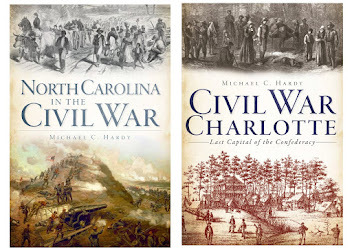 0, or visit the section’s secure online store at http://nc-historical-publications.stores.yahoo.net/. Volume XVII is also available through Amazon.com. 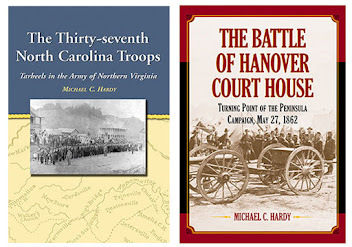 The Historical Publications section (www.ncpublications.com) is administered by the Office of Archives and History, part of the N.C. Department of Cultural Resources, the state agency dedicated to the promotion and protection of North Carolina ’s arts, history and culture. Information is available at www.ncculture.com.